With everything on the schedule, this should be the most intense sports week we’ve had here in almost a decade. A look at everything on the schedule. October in Minnesota is an incredible convergence of the last gasps of summer weather, the definitive transition to fall with leaves changing colors before tumbling to the ground and the first few biting mornings of wintry chill. Sometimes it feels as though it’s all happening at once. It’s no wonder, then, that the sports we associate with summer, fall and winter also can converge in a manner that’s equally overwhelming. That’s what is about to happen this week in Minnesota, giving us what should be the most intense sports week we’ve had here in almost a decade. The last memorable convergence happened around this exact same time in 2009, but it really centered on two teams and one venue: the Twins and Vikings in the Metrodome. The Twins played their regular-season finale Oct. 4, a must-win at the Metrodome against Kansas City. The next night, the Vikings with Brett Favre hosted the Packers on Monday Night Football at the Dome in his first revenge game. And the day after that, it was Game 163 at the Dome between the Twins and Tigers. Oh, and the Wild had its home opener that same night. And the night after, the Twins started the ALDS in New York. That Oct. 4-6 was about as memorable a three-day run as I can remember here. Tuesday: Twins at Yankees in the one-game wild card playoff at Yankee Stadium. For all the heartbreak of 2003, 2004, 2009 and 2010 the Twins experienced in getting knocked out of the postseason by the Yankees in the ALDS, they never even managed to force a decisive Game 5. This is like skipping right to Game 5. Wednesday: Sparks at Lynx in Game 5 of the WNBA Finals at Williams Arena. 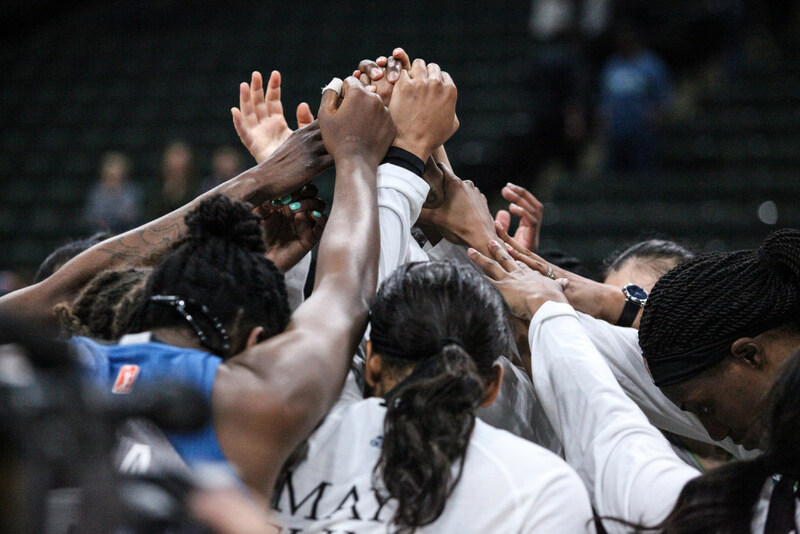 These teams played an epic five-game series last year, with the Sparks defeating the Lynx in Minneapolis in the final seconds of the decisive game. Minnesota gets another chance this year thanks to its strong effort Sunday in a Game 4 victory in Los Angeles. So yeah, this is the second consecutive night of must-win games for Minnesota teams in the playoffs. And if you really want to stay up late, the Timberwolves play the Warriors in a preseason game in China at what is technically 1 a.m. Thursday for those of us in Minneapolis. Thursday: Wild at Detroit in the season opener. After making the playoffs five straight years but advancing no further than the second round, Minnesota will be scrutinized from Day 1 this season. Five of the first six are on the road. This will all be overshadowed, though, if the Twins defeat the Yankees on Tuesday because that would mean they start the ALDS on Thursday at Cleveland. Friday: Gophers men’s hockey opens the season at Minnesota-Duluth, a pair of top-10 teams. And this would be ALDS Game 2. That’s as far out as I dare go because it already feels like too much. Just know there are potentially some even bigger weeks ahead. Get some rest tonight. You’re going to need it.